Hey, so if you are here, you are used to reading my wordy, wordy posts... how would you like to HEAR me TALK about my personal machine embroidery journey?? Well now you can do just that! I met Chanda last year at the Applique Getaway. We were both volunteering there, and talked for the first time Friday night. She mentioned then that she reads my blog, but later in the weekend we got to talk more in depth. She actually found my blog through (get this) the Itch 2 Stitch's Facebook page. How ironic! I had posted a project photo on I2S's wall, which Cristy then shared, and it showed up in Chanda's news feed. She saw my watermark and headed over to my blog, then proceeded to go back to the very first post and read her way through my entire blog! Chanda has her own embroidery business, but also wants to give back to the online embroidery community and has started "Success with Embroidery" -- a blog and podcast aimed at giving tips to those who are starting or looking to improve their embroidery business. I was honored to be her first guest! I am anxious to continue listening and hear what's next! Won't you join me? Fall, er... wait, make that a Spring Dress! Who says brown can't be a spring color?! 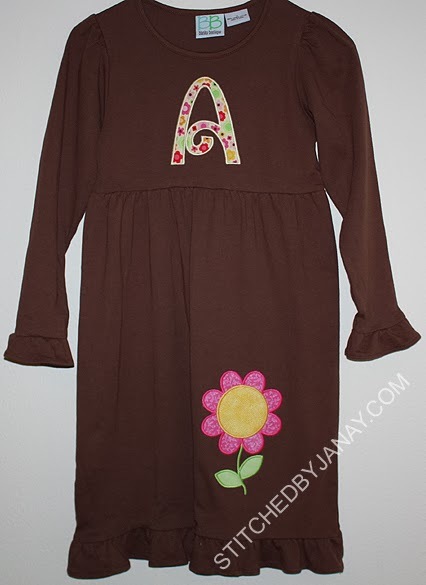 I bought this dress for Annaliese back in SEPTEMBER with every intention of making a lovely fall dress for her. Pumpkins, acorns, leaves, I don't know, but something with lots of yellows and oranges. But we had such a hot fall here in FL that it didn't get really get cool enough for long sleeves until a week before Thanksgiving, and by that time I was not going to invest my time in a fall dress anymore. I spent another month or so debating what sort of little winter character I could use with pinks and reds that could be used for Christmas and beyond... but that didn't ever happen either. Whew, we are done! And thankfully even though this girl seems to be getting taller everyday, this dress is still a fantastic length for her. Maybe, just maybe it will still fit next fall! And flowers bloom year round here, so it will always be in season, right?! Take a look at my mini-me! I had just bought myself a new pink shirt, we discovered one for her in my stash of blanks, and she started jumping up and down at the idea of matching shirts! 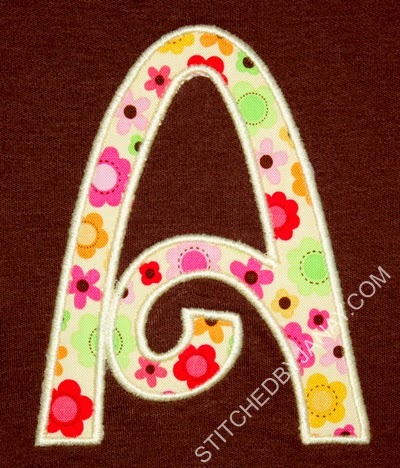 The timing was perfect, I got to test Embroidery Boutique's new Elegant Vine Applique Alphabet on them. 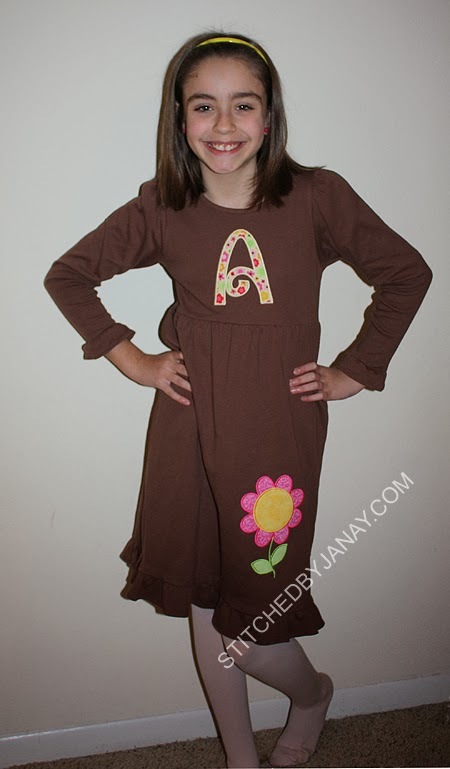 Annaliese's shirt uses the 5" size. This is kind of an example for how a busy print doesn't work as well at smaller sizes. It's not quite as legible as mine (I think there is less contrast between her pink shirt than mine, as well). Either way, she likes it! These monograms are quick to stitch, but tedious trimming! I love the results. 2013 brought lots of exciting things my way... testing designs for digitizers, attending the Applique Getaway, a big order that I've yet to reveal, joining The Itch 2 Stitch team. As a few of those thing grew, my ability to juggle everything during the fall wasn't so hot and I found myself dropping the wrong balls. So for 2014 I am choosing to set one ball down for a while -- custom embroidery orders. Already I have not been accepting orders from the public for over a year, but now I will not be taking custom orders from my dear friends and long time customers either. Whew, that was a hard sentence to type, but it needs to be said. :) I will reevaluate thing when Dashiell starts kindergarten, but for now I will just be doing embroidery projects that I initiate. 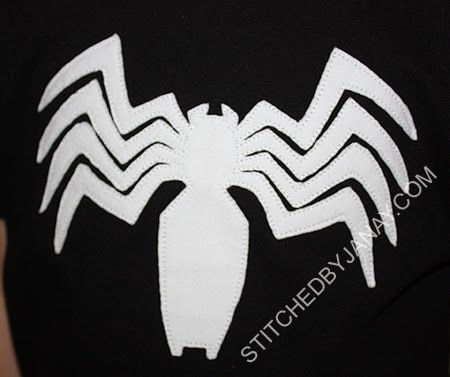 I'm still doing design testing, and sometimes troubleshooting with an I2S customer will require me to stitch something really quick, so there may be opportunities for friends to get Stitched by Janay products, but it will be on my terms. I haven't worked out the details yet. 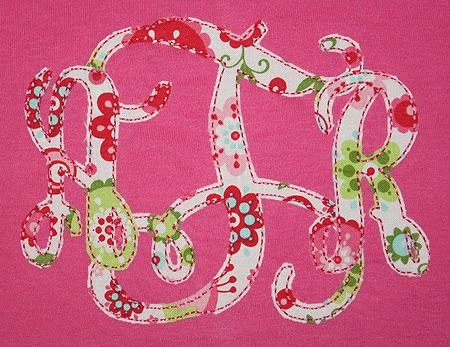 Mostly I'm looking forward to being able to monogram a bunch of stuff for myself that I haven't taken the time to do! So let me wrap this up with some suggestions. 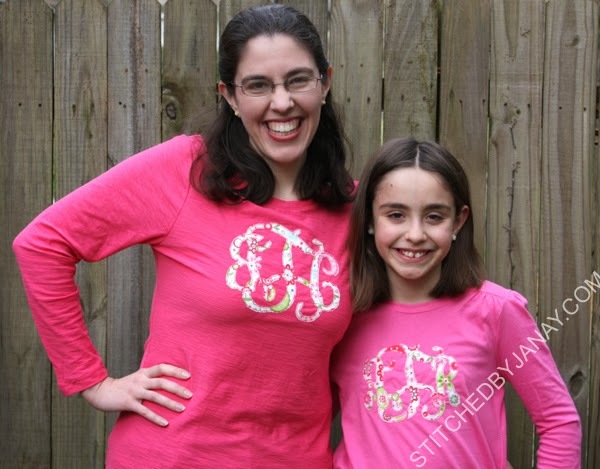 -- Church friends, remember Katie (at Timberlane) does sewing and embroidery. Granted she's busy with three little kids :) but it's worth asking if you need a monogrammed baby item! 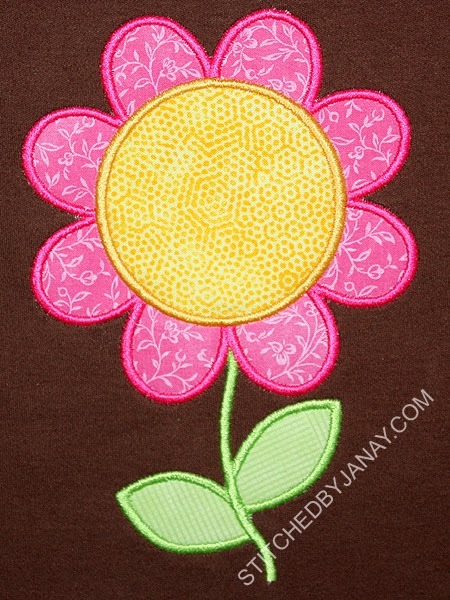 And Sarah (formerly at Meridian Woods) does embroidery work, too (SEDesigns). 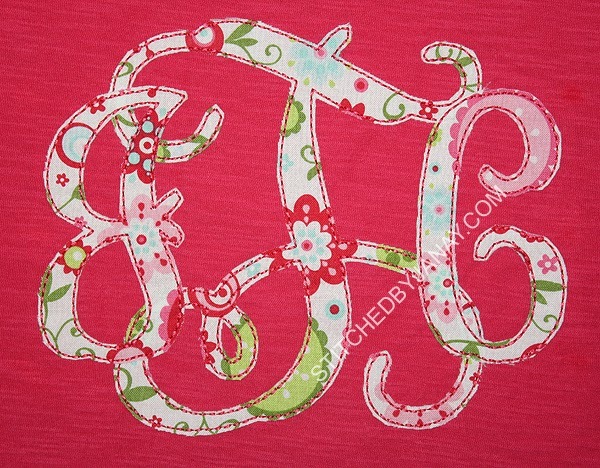 --If you are local to me and want to find someone local to do monogramming or applique projects for you, I highly recommend Frances at Simply Monograms. We met online first and then discovered we lived literally 5 minutes from each other. She saved me recently by monogramming a bag I just could not get on my machine. She does beautiful work! --If you find something being sold in an Etsy shop that you really like, I recommend you order it from that shop :) Support the gal who has already done the work to make something adorable! 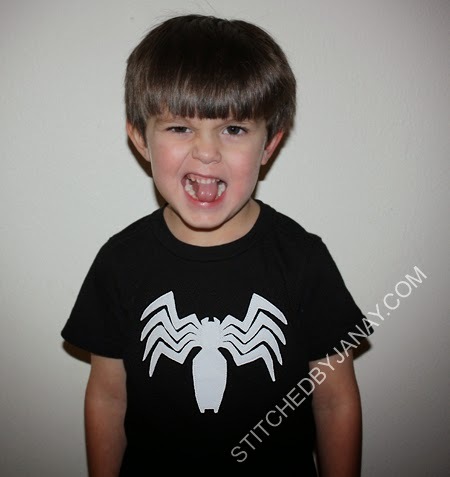 Yesterday Dashiell told me that he wanted a Venom shirt. I told him I couldn't do it right then but could work on it over the weekend. Then he said to me, "Remember, Lyndsie has to make a design and then send it to your computer!" That made me laugh out loud! Maybe at five years old he does kind of get the process... I've obviously tested a lot of LP designs for my kids to refer to Lyndsie by name! A bit later he clarified that he didn't want a "cutie pie" design but the actual Venom symbol. :) So I digitized it myself! I used a triple bean stitch to tack down the knit and trimmed it out of the hoop. Quick stitch, only 5 minutes I think, but MAN that took a while to trim. I didn't get a flat close-up image of the shirt -- it was grabbed and put on immediately. I wonder what he's going to ask for next? 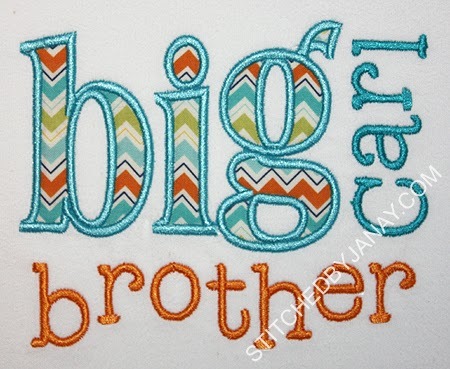 My friend asked me to make shirts for her kids to wear to announce their exciting news... they are expecting a third! But the cat got let out of the bag before the shirts were finished. 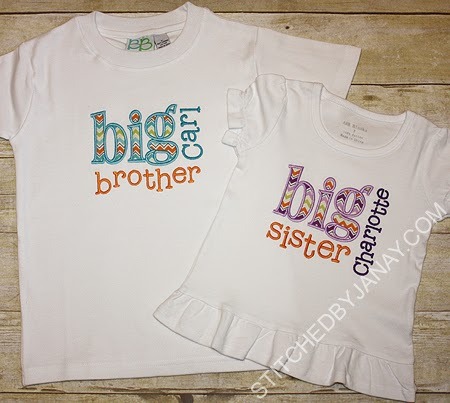 :) Thankfully we had already decided to just make them Big Sister and Big Brother shirts so they can be worn once the baby arrives. 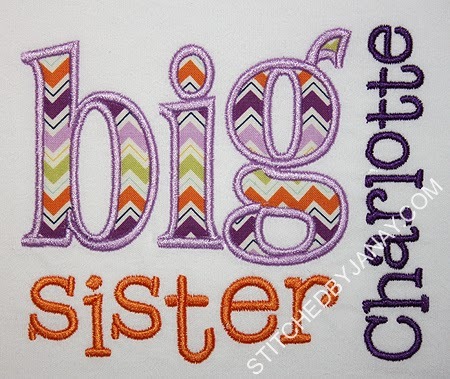 I started with Embroitique's Big Sister design and added Charlotte's name with 8CP's High 5. For Carl's shirt, I merged together "brother" as well, because I haven't purchased the brother version from Embroitque. ;) Merging it myself allowed me to extend brother across the bottom farther, and then since Carl's name is shorter than Charlotte's it didn't have as big of a space to fill. I thought it all worked out rather nice.